well, that might be pushing it. The Ruffle Apron tutorial is useful in making a pattern for this; just omit the ruffle part of the instructions and make sure the body of the apron is right side out. The ties can be made to only tie in back or extra long to wrap around. As you know, I like having the bow in front. Too cute. This is a great 1st apron for anyone looking to start making aprons. 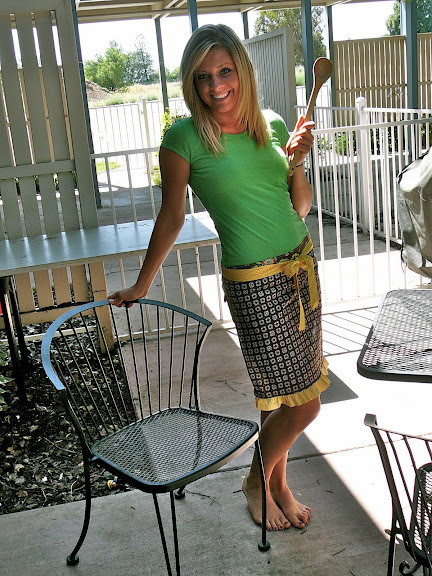 Today my super cute sis-in-law came over and made her own cafe apron. Watch out...you'll get hooked!